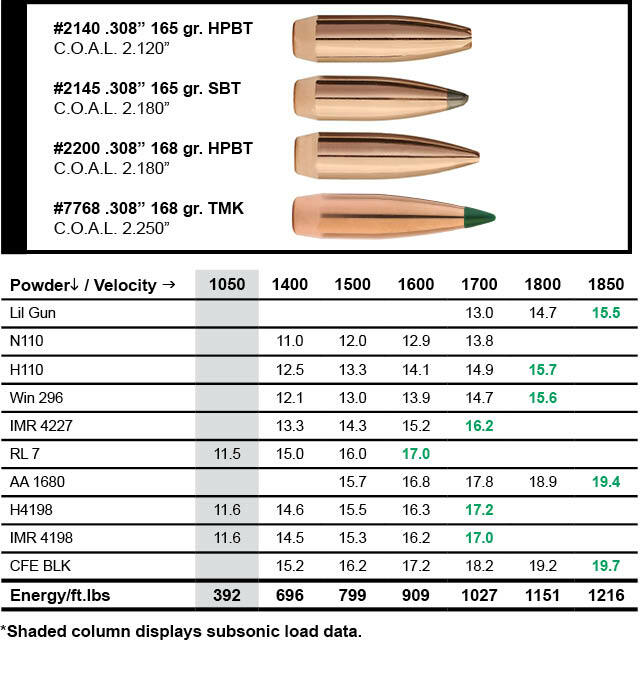 This entry was posted in Load Data, Reloading and tagged 300 AAC Blackout, 300 BLK, 300 Fireball, 300 Whisper, Advanced Armament Corp., blackout cartridge, Remington, wildcats. Bookmark the permalink. If you guys had bothered to ask people what powder they would like to see lil gun would definitely be on that list. I would say 10 times more people use lil gun than R7 for subsonic loads. 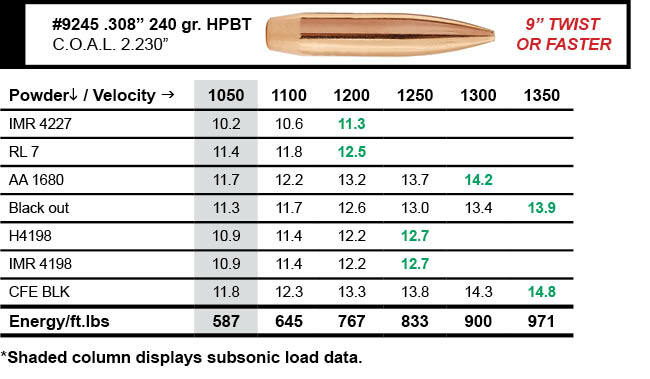 Why not give JD Jones credit for the development of the 300 Whisper, which AAC tweaked into the 300 AAC Blackout by increasing the length of the chamber throat 0.015″ and SAAMI-ed it. Screw JD Jones who sat on his product and refused to share his creation after earning millions. He is a greedy old has been who would have let this cartridge perish. He deserves NOTHING and would tax the IRS if he could do it. 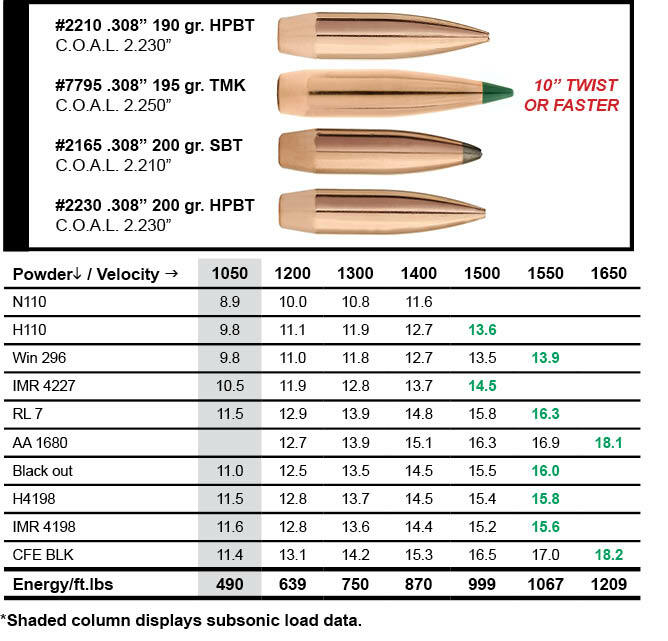 will these loads cycle an AR? 220 g round nose / 9.9 g H110 cycles 8.5″ and 16″ barrels no issues. In my 16.5″, X95 Sierra 220 grain RN with 11.2 grains of H110 WILL NOT cycle. In my Palmetto State Armory 7.5″ upper the load functions perfectly ! 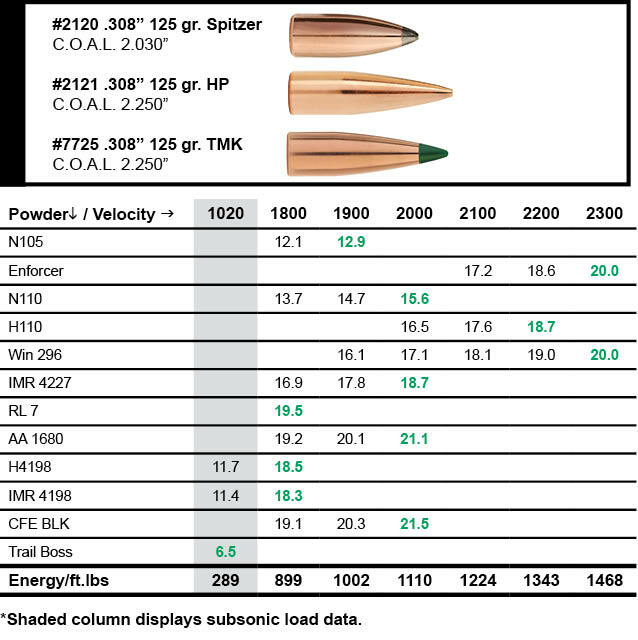 What could be the problem with the load in the 16.5″ ? 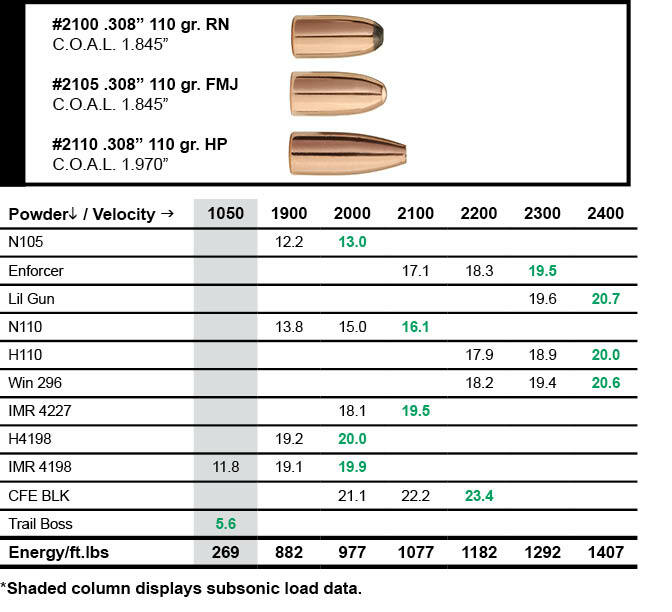 A carbine length gas system (one comment mentioned 16.5 inch gun would not cycle the action) will not work with subsonic loads in 300 blackout. There may be rate exceptions but your in for a lot of frustration if you go that route. You MUST have a pistol length gas system. My TSAR 11.5″ upper is flawless so far. 180 grain rainier wedges cycled with 11ish grains of IMR4198 out of my PSA 10.5in suppressed with Syrac Ordinance adjustable gas block. How do you guys get different data for Win 296 and H110? Hodgdon reports that they are the identical powder under different labels.??? While the powder formulas are identical, the chrono testing is likely from different production lots. You may have a great load that is pushing max and loading from an 8lb keg, and a few years later you buy another keg. Smart and safe loader will back off the load and work it back up simply due to powder age and lot variation. I really appreciate the updated data, I was working on subsonic loads and Sierra did the work for me. That’s a lot of work already done that I only need to tweak for my rifle, however when I chrono these loads Sierra is pretty much dead on! If you folks want really figures use quick load…this data and noslers data is bogus. Quick Load program is, buy their own admission should NEVER be used over ANY published data. I have used this program for years and tke it with a very large grain of salt! So how does everyone find the stability of the heavier projectiles with the 1-8″ twist rate? 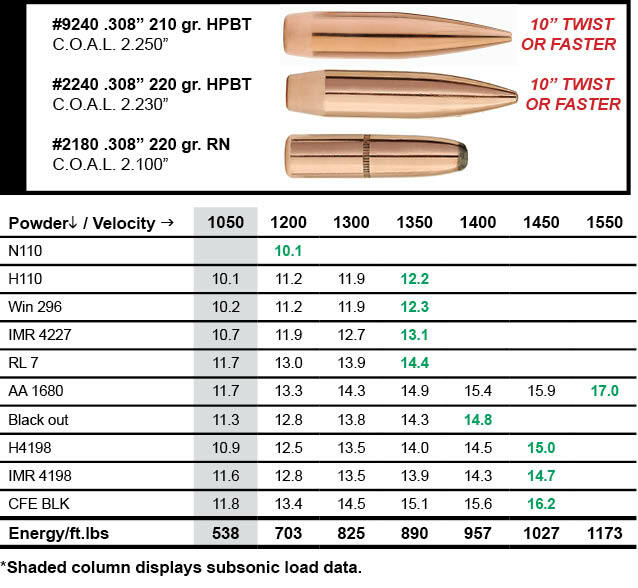 I have seen a few complaints from people with barrels under 10″, but better stability was found when switching to a 1-7″ twist rate. 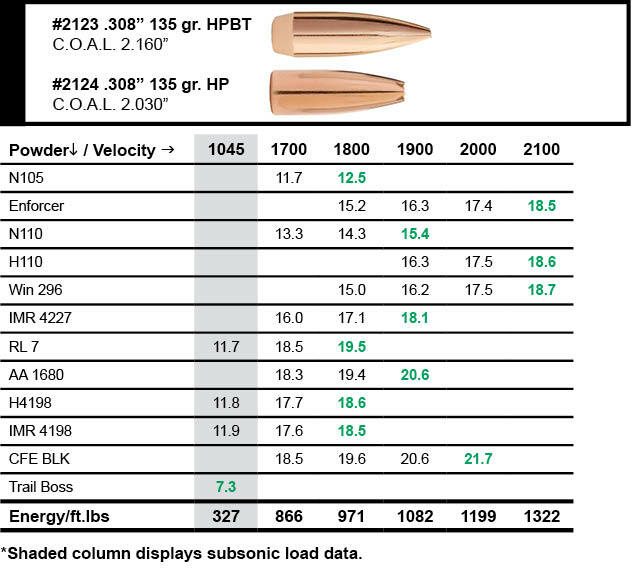 I plan to build a bolt action with a 16.5″ barrel and will use projectiles between 180 – 220 gr., so not sure if I should go with the 1-8″ or get a 1-7″ barrel blank made. Any thoughts? 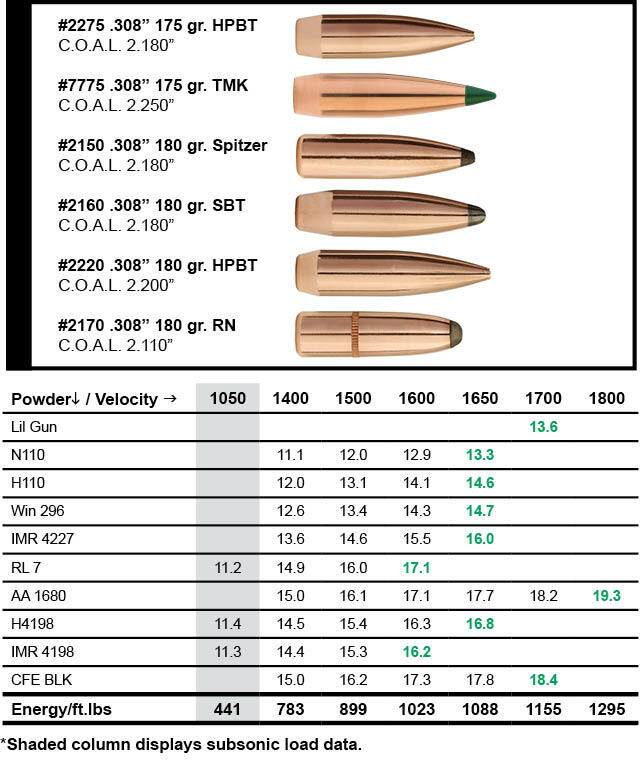 Have experienced some unstability problems with cans and 1:8 barrels with 220 gr sierras. 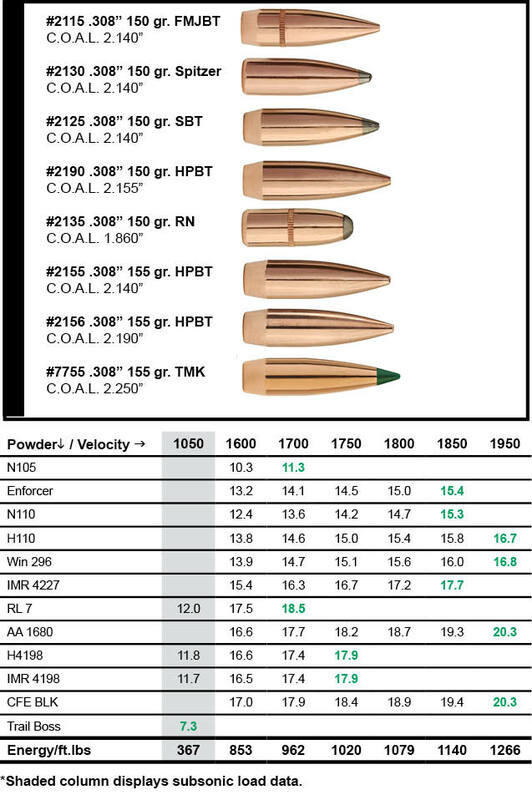 Ordered 1:7 barrel to another gun, used same loads in exactly same conditions, no issues. 220 sierras were stable to 150 meters with 1:7 twist. 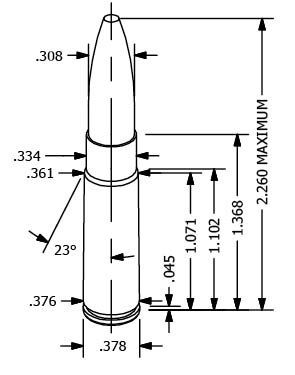 Instability with 1:8 caused problems with loger cans, bullet maybe wobbling after rifling. Also slight keyholing and groups growing up. Never seen that with 1:7 rifling twist. Offcource in case of subsonic 300 BLK, forgot to mention, sorry.